Setting out to look at homes with your pre-approval letter in hand is an exciting experience for home buyers. While you’ve already taken one of the biggest steps by getting your approval letter there is more to being able to afford a home. Yes, you are approved to purchase a home for up to $250,000 but there is more to your loan than just the purchase amount. Below are a few reasons that you might not be able to afford the home even though you have the approval letter. 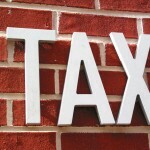 Most approval letters are written for the average tax rate in an area. If you’ve been looking at homes within the past year or two you’ve noticed major�discrepancies�in the yearly tax rate for homes within blocks of each other. Let’s say you’ve found two homes that are listed for the same price. Home A is listed for $250,000 with a $1,800* yearly tax bill. Home B is listed for $250,000 with a yearly tax bill of $3,400*. The monthly difference between home A and home B is $150 per month. That’s an extra $1,800 per year! Probably pretty close to a full month’s mortgage payment. It is true that the tax rate can change from year to year but for the initial year of your loan you will be paying the going rate. Not every home is in an HOA or LMA but if you’re looking for a newer build home get ready for it. 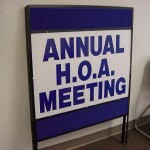 HOA dues are subject to increases and decreases depending on the financial stability of the association. If the association is full of REO or delinquent borrowers you should be prepared for added assessments to keep the HOA afloat. Monthly fees can range from the $15* for do-nothing LMAs to hundreds of dollars for gated communities and condos. �Don’t forget to include the monthly, quarterly, or annual dues when creating your housing budget. Always, check with your agent to see how much the HOA/LMA is before viewing a home. Home owner’s insurance is going to be required by your lender if you’re getting a loan. Most insurance policies cover your typical fire, property loss/casualty, and other forms of peril (vandalism, theft, lightning, etc.). 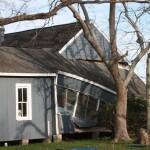 The type, price, and extent of the insurance is subject to many attributes of the home. Is it near a fire station, does it have fire sprinklers, is it in a FEMA flood plain, are earthquakes prevalent (may be owner choice). These different attributes will have a bearing on how much your monthly premium is. If you’re located in a flood zone that requires mandatory insurance then you may be looking at another additional $500* per year in coverage. Be sure to sit down with your insurance agent prior to looking at homes so you can be informed on the types of policies and costs that you may incur. The amount of your loan isn’t always the difference between the purchase amount and your down payment. FHA and 10%** down or less loans will carry a mortgage insurance that is generally added to your loan amount. Depending on the original loan amount you may be paying $40-$100* more each month because of this insurance. Take the time to fully go through all parts of your loan with your lender so you don’t have any surprises at the closing table or when your first payment comes due. 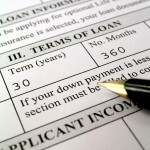 ** Consult your lender to see if you conventional loan has mortgage insurance as some 10% loans may not. Posted in For Buyers and tagged home buyer's agent, home buying tips reno, home owner's insurance reno, property tax washoe county, reno buyer's broker, reno mortgage insurance. ← Multiple Offers: How High Should I Go?